In medium bowl, beat cream cheese, 1 of the eggs, 1/2 cup of the sugar, 1 teaspoon of the vanilla and the salt with electric mixer on medium speed until smooth. 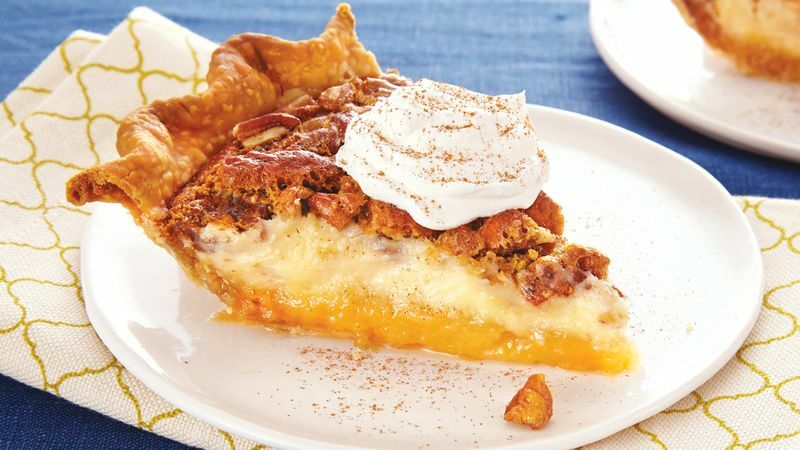 Pour mixture into crust-lined plate; sprinkle evenly with chopped pecans. In large bowl, beat corn syrup and remaining 3 eggs, 1/4 cup sugar and 1 teaspoon vanilla with whisk. Pour mixture over pecans. Place plate on cookie sheet. Bake on lowest oven rack 50 to 55 minutes or until set. Cool completely on cooling rack, about 1 hour. Serve or refrigerate. Top individual servings with whipped cream and cinnamon. Store covered in refrigerator up to 2 days.